360 Photography and Video: The Next Big Thing? If you are a gamer, you cannot fail to have heard of Oculus Rift or HTC Vive. 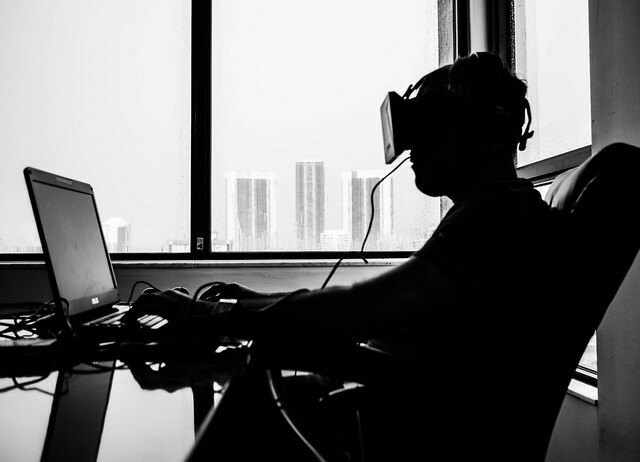 For non gamers they are virtual reality headsets that immerse people in a 360 degree virtual world bringing an entire new dimension to playing games. Over the last 18 months though, people have begun to realise that the power of these head sets lies not just in gaming but in real life applications as well. From inside one of these headsets you can look around a 360 degree photograph and now even 360 degree videos. 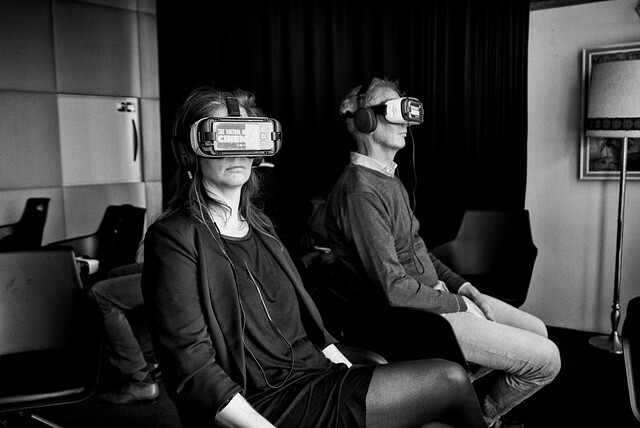 The potential for VR is huge but like many things that have gone before it, 3D TV, Netbooks etc, is VR and 360 doomed to fail? Personally I don’t think so. Lets have a look at what 360 photography and video is all about. We might not think about it but we have been looking at 360 images for years. Every time you take a stroll down Google Streetview, you are looking at multiple 360 images stitched together to give a feeling of being immersed in that location. As photographers many of us have been doing pseudo 360s for a long time too. Panoramic images are basically cut down 360s. To get a true 360 we need to shoot a full circle not only perpendicular to the ground but also looking down and looking up. It can then be stitched together in specialised software. There are a few ways we can do this. Firstly, there is a pretty good chance your phone will do panoramic. By shooting a full circle in panoramic mode we can get a pretty good 360 effect. The phone will automatically stitch the image together and the wide angle lens will give a reasonable impression of a true 360 image. 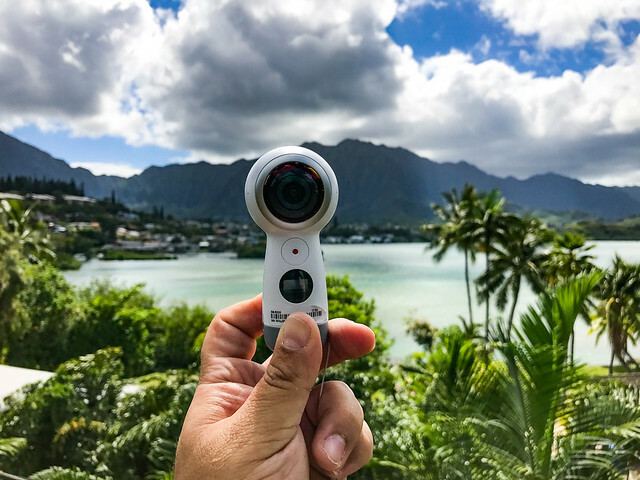 Lastly and perhaps most significantly is the rise of the dedicated 360 cameras. There are a wide range of these cameras available not from simple two lens devices costing a few hundred dollars to large multiple camera set ups costing multiple thousands. They are capable of taking high quality 360 stills or up to 4K video. Like parabolic mirrors, you need to find a way of getting yourself out of the shot. The big driving factor behind the current interest in 360 imagery is the emergence of virtual reality headsets. These amazing pieces of technology will track your head movements and allow you to look anywhere with a full 360 degree environment. Combined with surround sound they are incredible immersive and have huge potential in numerous fields. For the moment however they are still very much in their infancy. The computer power required to drive them is really only needed by top end gamers, the average photographer even 4K videographer would probably not have the graphics power to run them. Of course technology moves rapidly and as the next generation processors and graphics cards come out so will the second generation VR headsets. We will get closer to them becoming a mainstream consumer product. There is however a cheaper alternative. Google Cardboard is a simple cardboard based VR viewer. The idea is that you place a smartphone inside the cardboard box then view 360 images or video via special apps on your phone. Other companies have been quick to capitalise on the idea producing more advanced viewers that have dedicated holders for your phone or tablet and viewing lenses that you can adjust to your eye and focus accordingly. Having used one of these devices I would say they work well but it is preferable to have one of the larger smart phones such as the iPhone 7 or a smaller tablet such as the iPad Mini 4. Of course you don’t even need dedicated hardware at all. You can view the 360 images and video in most modern Internet browsers. Facebook allows you to embed 360 degree images and YouTube now supports 360 Video. Whilst using a VR headset or Google Cardboard might be more immersive, you can still get a good impression of whats going on just by panning around with your mouse. So is 360 imagery and video here to stay? I would say yes. Unlike the failure of 3D TV, 360 has multiple strands. It is relatively easy to produce with current technology, it is easy and cheap to view and it is built upon already established technologies like panoramics and Google Streetview. With the expensive VR headsets, gaming is also in three dimensions giving an incredibly realistic and immersive environment. I wonder how long it will be before we see 3D 360 video and images. Not too long I suspect.